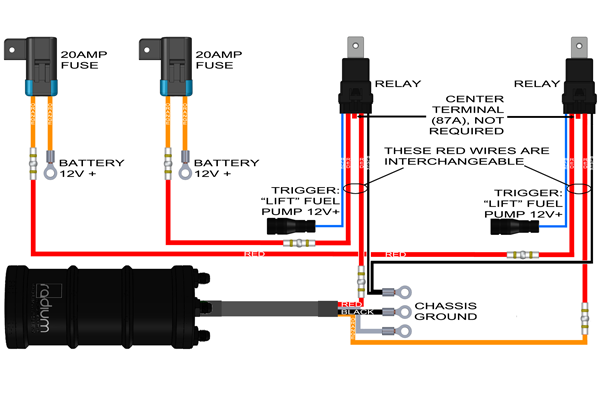 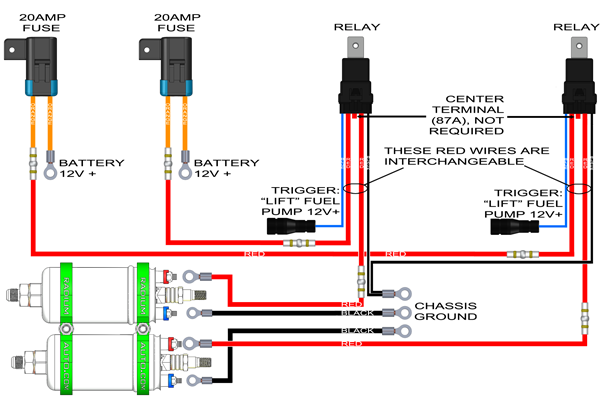 Radium recommends a dedicated fuse and relay for each fuel pump. 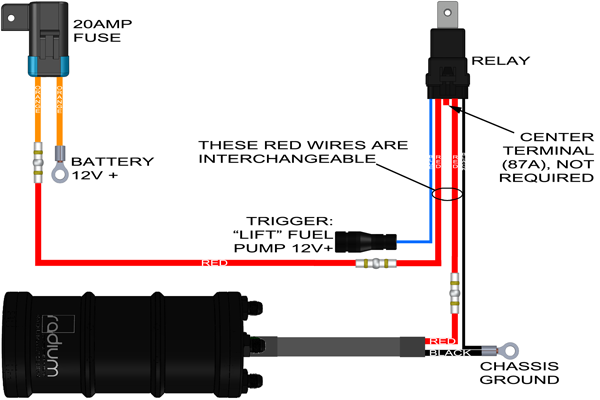 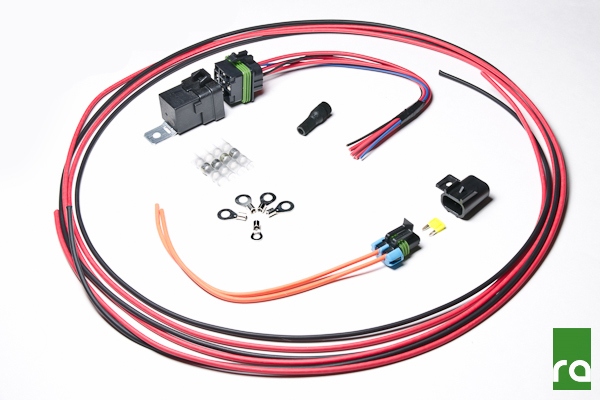 For this reason, order a wiring kit for EACH fuel pump. 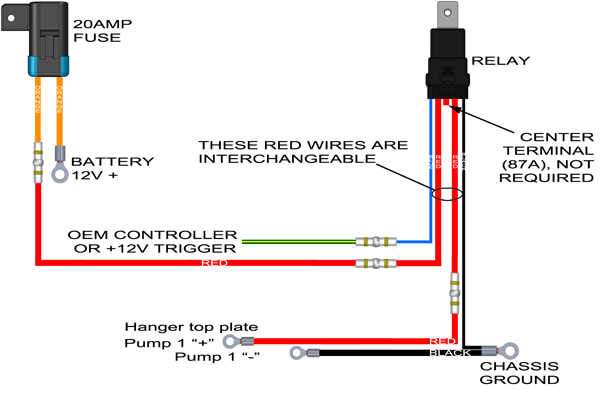 -If a Radium Single Internal Pump FST was purchased, select "Quantity: 1"
-If a Radium Dual Bosch 044 FST was purchased, select "Quantity: 2"
-If a Radium Triple Pump FST was purchased, select "Quantity: 3"
-If a Radium Single Pump Fuel Hanger was purchased, select "Quantity: 1"
-If a Radium Dual Pump Fuel Hanger was purchased, select "Quantity: 2"
-If a Radium Triple Pump Fuel Hanger was purchased, select "Quantity: 3"
NOTE: the relay "trigger" can be connected to a ground or 12V signal as long as the other end of the low current relay coil wire is connected to an opposing source.